Equatica has undertaken hydraulic conductivity assessment of field bioretention systems for a number of councils. Equatica has also provided training to council staff to undertake hydraulic conductivity monitoring including Bankstown, Marrickville, Rockdale and Strathfield Councils. Hydraulic conductivity testing is a cost effective way to assess the performance of bioretention systems. It is recommended, in combination with other methods, to assess the in-field performance of bioretention systems. City of Sydney and Sydney Water are undertaking monitoring of Sydney Park's 600 square metre bioretention system, which has been designed with a saturated zone. 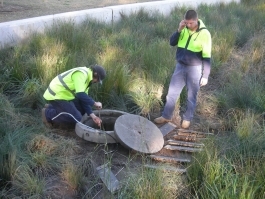 The monitoring system has been set up by Sydney Water and includes flow monitors and autosamplers on the inlet and outlet of the bioretention system. 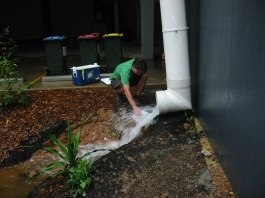 Equatica has been providing technical advice to the City of Sydney and Sydney Water on the monitoring setup based on the treatment system design and is also assessing the raw water quality results to determine Event Mean Concentrations. 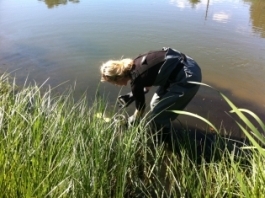 Equatica is currently monitoring water quality in seventeen waterways in Rockdale LGA. The waterways receive runoff from the majority of the LGA and are a mixture of tidal sites, natural channels and modified natural channels. This is the first time that a comprehensive assessment of the waterways has been undertaken for more than ten years. 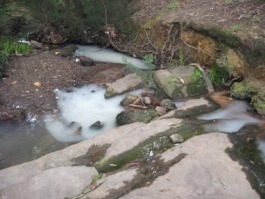 As part of this project Equatica will also undertake statistical analysis of the water quality data to detect patterns and to also benchmark Rockdale's waterways with other urban receiving waters in Sydney. In preparation to design a storwmater harvesting scheme in the catchment, Equatica undertook water quality monitoring and flow monitoring in the stormwater system downstream of the Peakhurst light industrial area. Sampling was undertaken during wet weather and dry weather. 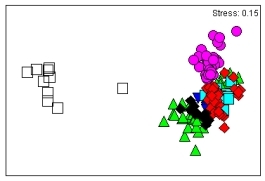 Equatica also undertook flow monitoring to determine the variation in flows from the catchment. During the sampling period Equatica detected significant poor water quality discharges during dry weather, and this influenced the stormwater treatment system design for the harvesting scheme. Equatica undertook monitoring of the construction and establishment phase of an industrial development in Warriewood. During the construction phase Equatica detected poor quality water leaving the site and made a number of recommendations to the developer on improvements of the sediment and erosion control phase of the development. 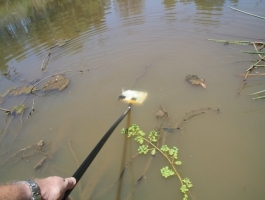 Equatica undertook monitoring of open water bodies in the Western Sydney Parklands to determine the suitability of these storage ponds to supply water for irrigation and toilet flushing, and to help determine treatment requirements. 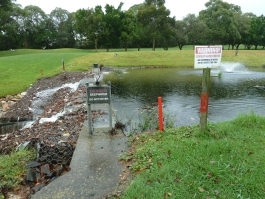 Equatica sampled during both dry and wet weather and compared results to a range of different water quality standards for suitability for reuse at the parklands. 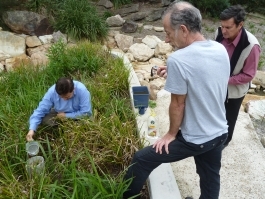 Equatica is providing technical advice and support to Macquarie University and Sydney Metropolitan Catchment Management Authority to undertake monitoring of stormwater treatment systems recently constructed in the Cooks River catchment. Lois Oulton, pictured here, is a PhD student at Macquarie University, looking at the effectiveness of WSUD treatment systems particularly for the effectiveness of treatment systems to provide ecological benefits. Equatica is an industry supervisor to Lois and we have been providing technical advice on the design of the monitoring program and the function of the treatment systems.